Blu-ray Player is a good assistant to play Blu-ray discs. However, there are some occassions that you can't play your Blu-ray disc on your Blu-ray player. So what's the matter? Well, it all depends. Some are related to the Player itself, some are the related to the Blu-ray disc, some are related the firmware and so on. If your Blu-ray player has stopped working when you try to play a Blu-ray disc, you can try the following solutions. There are a few exceptions to this rule, so there are no guarantees. Also, hacks that exist for Blu-ray players usually don't turn off the region code setting for Blu-ray discs - it usually just makes playing DVDs a region-free experience. Sometimes, it also unlocks the Blu-ray region code, also. Some issues are not difficult as we imagine. Somtimes, we just need to do little simple steps to resolve the Blu-ray disc playback issues on your Blu-ray Player, because there are many details can be ingored, just simple check and test, you can solve the issue. Remove the disc from the BD player > Turn off the BD player > Unplug the power cord of the BD player from the electrical outlet > Let the player remain without power for one minute > Plug the power cord back into the electrical outlet > Turn on the BD player > Insert the disc into the BD player. (2) Make sure that the Parental Control settings are not set to "on"
(3) External connection is really important, check all physical connections between your Blu-ray player, TV and power supply for making sure that cables are properly connected and there is power on all of the devices. If you the steps above doesn't work, then you need to play attention to the Blu-ray Firmware, because the Blu-ray is a dynamic format. It's essentially software (menus, etc. use a type of Java) so it requires up-to-date firmware to keep up-to-date with the latest blu-ray technology. There are many conditions will affect the Blu-ray firmware unstable or needed to update. >> Every once in a while, just like when you update a program and something stops working right, there will be a bad software update. >> Power off during update, or the update was otherwise interrupted while being applied it could do this. You need to check to make sure if the latest firmware is installed on your Blu-ray player. If an older firmware is still running on your Blu-ray device then the it may not be able to detect contents with latest media formats and codecs. Then you need to see if there's an available update and update it. If not, contact Samsung serve support and get the new firmware for updating. (1) One of the possible reasons is that your Blu-ray player is unable to read discs. Check to make sure the inserted disc is clean and not scratched on the playing side. If so clean the surface of the disc or use an alternative Blu-ray disc to verify. (2) Blu-ray discs have region code on them. If your Blu-ray Player can't play a good Blu-ray disc, you need to check the Blu-ray Region code on the disc. For example, all Samsung Blu-ray players purchased in Australia are region locked and can't be unlocked. Only Region B Blu-ray discs and Region 4 DVDs are compatible. Region A: This region covers all of North America, South America and South East Asia. Region B: This encompasses Europe, Africa, Middle East, French territories and Greenland. Region C: Region which covers the rest of the world including Russia, Asia, and China. If you have found the issue, you can use a third-party tool to remove the Blu-ray region code protection. Thare are many programs out there that allow you to achieve this goal. EaseFab's LosslessCopy is one of the best Blu-ray Ripping and Copying tools. It's available for Windows and Mac users. With the user-friendly interface, you can master this software in 3 minutes. This program not only can load the Blu-ray disc, also can import the DVD discs, DVD and Blu-ray ISO images, folder into it. >> Rip and copy the full Blu-ray disc which can keep all the Blu-ray content, like the chapters, subtitles, audio tracks, etc. >> Rip and copy the Blu-ray main title which won't affect the movie playback. 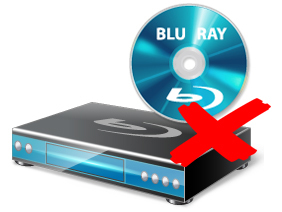 >> Rip and convert the Blu-ray to digital video formats, like the MP4, MOV, AVI, MKV, H.264, H.265 etc. Step 1: Download, install and lauch the Blu-ray Ripper. Insert the Blu-ray disc to the BD drive and then click the Load Disc button to have Blu-ray movies uploaded to EaseFab LosslessCopy. Option 1: You can choose the digital video formats from the Blu-ray movies which is small video size, easy to store and play, you just need to save the videos in USB and insert the USB to your Blu-ray Player, you can play the videos well. 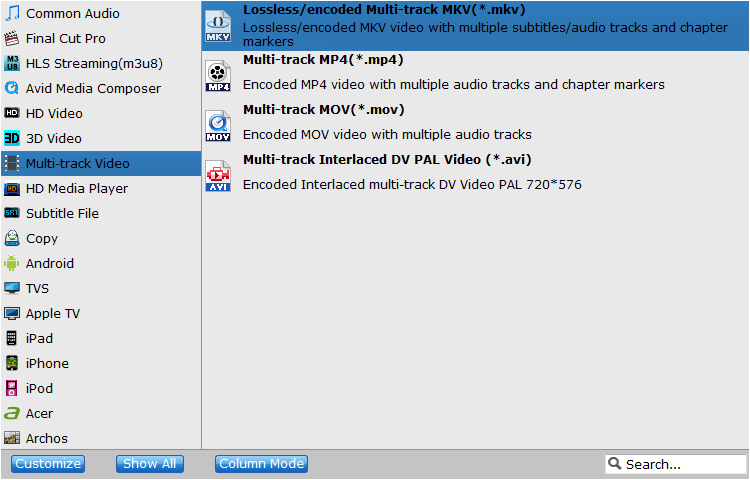 Best option: You can choose the "Lossless/encoded Multi-track MKV" format to help preserve the chapter markers, audio streams, subtitle tracks. 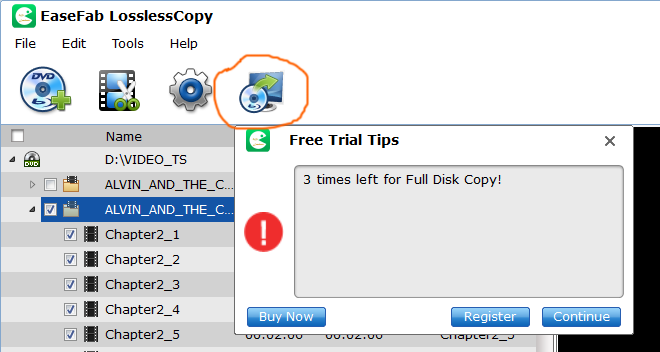 Option 2: You also can click Computer button on the top of this software, this button will help you to copy the whole Blu-ray disc content, like: video chapters, subtitle, audio tracks, menu and navigation contents and so on. Option 3: You even can copy the Blu-ray main title with fast speed: Navigate to "Format" > "Copy" > "Directly Copy"
When you choose any way you like, you just need to do one: Click the Convert button on the main interface to start the Blu-ray conversion. Wait for a while, you can get the new converted Blu-ray without region code. You can follow the steps above to check and solve Blu-ray Player won't play Blu-ray disc issue, sometimes, the Blu-ray Player and firmware issue is easy to be solved, the Blu-ray region code is a little complicated, but you can solve it easily by the Blu-ray Ripper. Hope you can enjoy the Blu-ray on your Blu-ray Player smoothly.